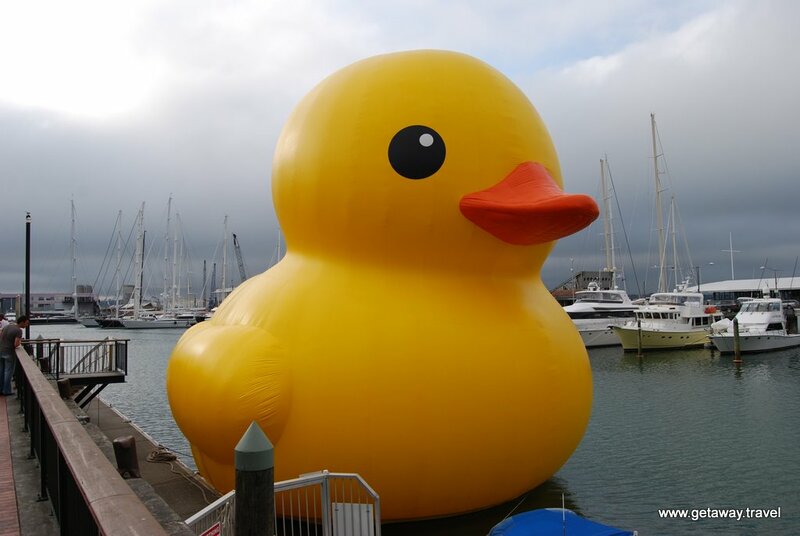 We are one planet, one people and the ocean is our bathtub, so let’s get out our rubber duckies and play! We had just stopped into an Auckland ice bar and had our obligatory cocktail out of our ice glass, while sitting on our ice stool, looking at ice sculptures. Maybe it was the chill our brains received, but the 15 meter tall duck that sat in the harbor around the corner from us, did make us stop and take a bit of pause. 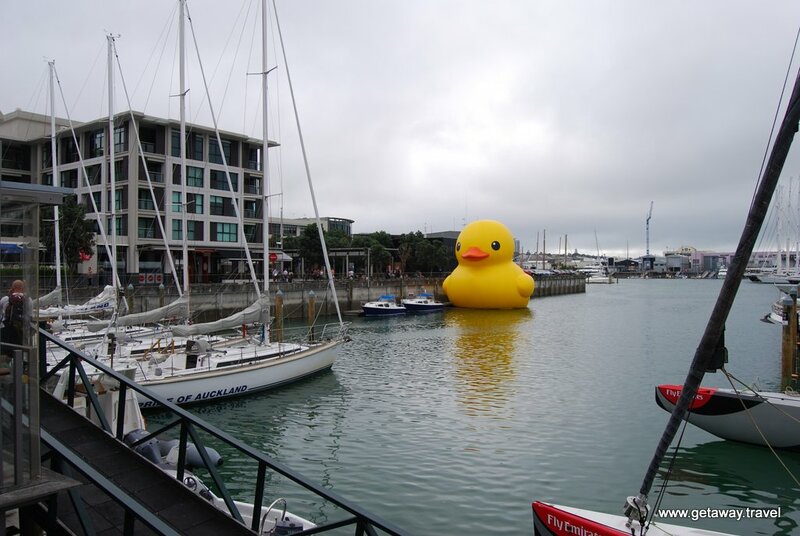 At no point during our trip planning for New Zealand did we think of seeking out a giant rubber ducky. In fact, searching out giant rubber ducks has never made onto any itinerary that we’ve prepared for ourselves or our clients. For any travel, it’s the unexpected moments like this that really make great vacations awesome. This entry was posted in New Zealand, South Pacific, Travel, Travel Agent and tagged auckland, ernie, new zealand, rubber ducky, sesame street on April 20, 2013 by Paul - GetAway Travel Service.